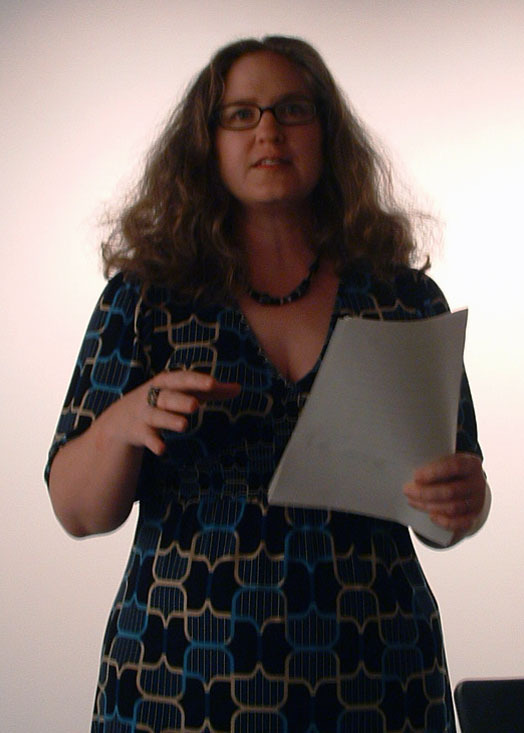 The marvelous Leeyanne Moore reads as part of MP's Issue 3 release party at the Bridge. The starving-est time had to be when I took the big leap. After years of earning only minimum wage, I was working at an after-school program. I got no respect, not enough hours, and hated the alky boss with a passion that left me stinking with rage. I literally suffered from Rage-Sweat, each night peeling off my clothes to take a bath (our little attic appartment only had a bath stuck under the eaves) and my husband and I would notice how badly I stank from the stress. So I quit and decided to start teaching creative writing workshops to children and teens. I kinda snuck in under the radar at this arts organization where I’d started taking writing workshops myself, and sent out fliers in the summer. The first day of the first week, no one came. I sat there alone at a table with paper and colored pens and felt pretty bad. But when I got home there were two messages on the answering machine and the second day of class I had three students. The fourth student showed up by walking into the room through the emergency exit. She had Asperger’s but was an awesome writer and I was on my way to never being employed by anyone else again. I think that being a full time writer takes that same kind of business creativity that it takes to start a business. As someone once said: a lot of people are talented writers. The most successful writers are talented at managing their talent. For me, teaching those workshops became a set of life lessons in being entrepreneurial that have stayed with me. The most successful times I’ve had as a writer have had the same feel as that breathtaking plunge where I left behind the regular paycheck once and for all.